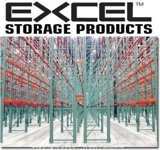 This is a bankruptcy sale of assets from Excel Storage Products, a manufacturer of high quality industrial storage rack systems for more than 41 years. More information and pictures available at www.WestAuction.com . Complete Poultry Slaughter & Grading Line. Up to 4,000 birds/hour. All Stork equipment, only two years run time. Pickers, Evisceration, S.S. Chiller, Grader, FES Screw Compressor, Imeco Evaporator, Condenser.. Submit offer for complete plant. SOLD SECURED CREDITORS LIQUIDATION SALE Assets of Westburg Electric Inc. 34 Scott Street, Jamestown, NY We will offer in "Bulk Only" the inventory, fixtures & equipment presently on-site at the business location. See Details for more info. MAJOR RETAILER Shopping Cart Liquidation!! 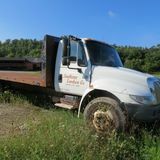 Truck Parts, Trailers, Equipment, Tools, Surplus! Details, Pictures and Inventory Coming Soon!